MELBOURNE (Reuters) – Five-times Grand Slam champion Maria Sharapova has offered a dim view of male players’ support for gender equality in tennis, saying Briton Andy Murray has been one of the few “exceptions” championing the cause. A number of prominent women in the sport have paid tribute to Murray for taking a stand against sexism and pushing for equal prizemoney at tournaments after the Briton revealed on Friday that he might be forced to retire after the Australian Open due to a troublesome hip injury. “Relatively speaking, I think they have been really tough, especially when it came to equality, as a general point,” Russian Sharapova told reporters yesterday, after thrashing British qualifier Harriet Dart 6-0 6-0 to reach the second round. “I mean, sitting at a press conference in Wimbledon five, seven years ago, there was not a lot of warmth coming from that side or that perspective. “That’s tough. I mean, I think there is definitely a few exceptions in the game, and I’m sure that (Murray’s) been one of them. Women enjoy equal prizemoney at the Australian Open and the three other Grand Slams but are awarded less than men at other professional tournaments. Novak Djokovic caused outrage among women players when he said in 2016 that men should “maybe” earn more because their matches drew more spectators. 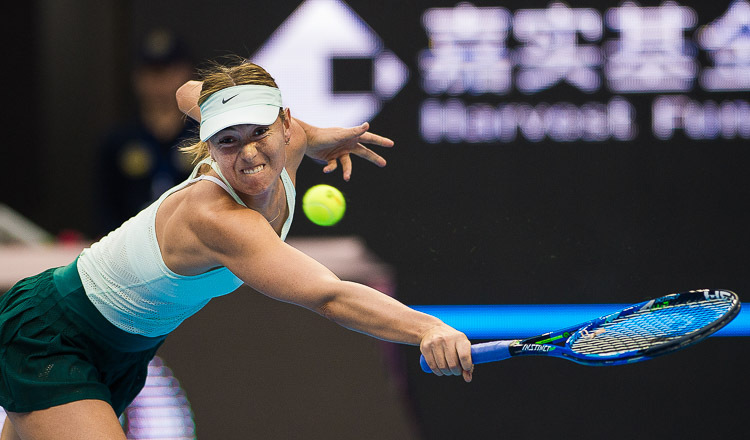 He later apologised and backtracked.Sharapova and three-times Grand Slam champion Murray once played mixed doubles together at the International Tennis Premier League in 2014 but have had few dealings since, particularly after the Russian was suspended for 15 months for taking banned drug meldonium. Murray, the first top male player to take on a female coach in Amelie Mauresmo, questioned Sharapova’s excuse that she was taking the drug for a heart condition and also criticised her racquet sponsor Head for standing by her after she was caught. When reminded about her doubles history with the Scot, Sharapova’s memory was foggy. “Did we play mixed doubles?” she said. “Oh, right. I was, like, the only mixed doubles I played with was like (Max) Mirnyi and I think I was 16 or 17 maybe,” she said of the former Belarusian professional. “What do I remember? Clearly it wasn’t that memorable,” she said with a smile. “Because let me tell you, none of my doubles is memorable. It’s like something we all should forget about. But I do have three titles. They actually mentioned it today in the introductions (on court). Meanwhile, Murray’s hopes of a fairytale swansong at the Australian Open were crushed in the first round as Roberto Bautista Agut held off a thrilling fightback from the ailing Briton.